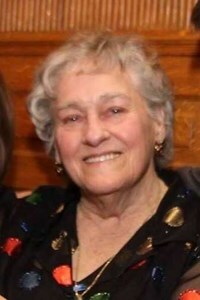 Newcomer Family Obituaries - Dorothy Rice 1934 - 2019 - Newcomer Cremations, Funerals & Receptions. Dorothy M. Rice (Richardson) 84, daughter of the late Pearl (Long) and Horace Richardson passed away peacefully with her family at her side on Thursday, April 4, 2019. She is preceded in death by siblings Ginny, Bill, Audrey and Gerald. She is survived by sisters, Judy Moore (Allen) and Barbara Leppert (Kenny). Also, survived by sister-in-law, Mary Ann Menke and Shirley Rice. She will be dearly missed by her children, Teresa Lonnemann (Joe), Nancy Gadd (Matt), Jackie Felthaus (Todd), Janet Kennedy (Mark), Angie Fabiani (Dennis) and Robert Rice (Jennifer). She adored her fourteen grandchildren, Kristy, Sara, Jenn, Matthew, Jessica, TJ, Tyler, Abby, Joshua, Ryan, Zach, Torrie, Parker and Allie and adoring ten great grandchildren with another one due in August. She was also loved by her extended grandchildren and great grandchildren and many nieces and nephews. After raising her six children, she worked as a nurse’s aide at Bethesda Oak, Cincinnati Children’s Hospital and St. Charles Community. She enjoyed music, going to movies and scratch-offs. She was passionate about volunteering and spending time with Holmes High School 52’ classmates, St. Paul Church friends and St. Charles retiree ladies group. Dot’s greatest love was being surrounded by her family and ensuring everyone had delicious food and a fun time was had by all. Everyone who met her was touched by her sweet, caring and loving nature. A gathering of family and friends will be held from 5-7pm on Friday, April 12, 2019 with a memorial service following at 7pm, at Newcomer, Cremations, Funeral & Receptions, 4350 Dixie Hwy, Erlanger, KY 41018. Memorials are suggested to St. Charles Community, 600 Farrell Dr. Covington, KY 41011. Add your memories to the guest book of Dorothy Rice. All of us who were lucky enough to have an “Aunt Dot” will always remember her sweet smile and the way she always made us feel that what was happening in our lives was special. When I think back to all of the Rice family get together’s which always had a ton of food; it’s Aunt Dot’s dill dip that was part of every feast! From all of “the Jack Rice’s” (he always loved the food part!”) we are sending love and warm hugs to all of you!